If you have discovered the fun story, The Day the Crayons Quit, then you know how adorable those little crayons are. This has become one of our favorite modern classic children's books. 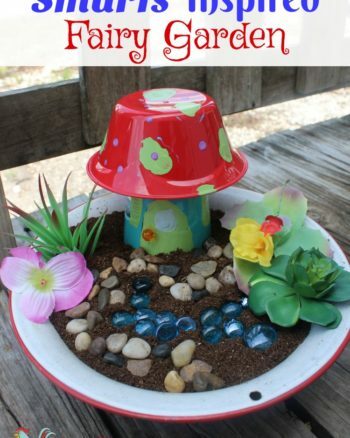 If you haven't yet I hope you are inspired to grab a copy of the book from the library or store and enjoy a fun craft or two with your little ones. 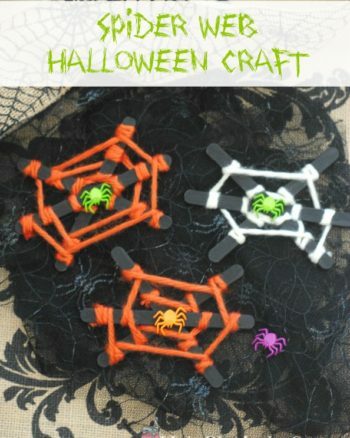 This is a quick one Mini and I threw together and only requires a pack of (affiliate) crayons from the Dollar Tree, some googly eyes and chenille pipe cleaners we already had on hand. 1. 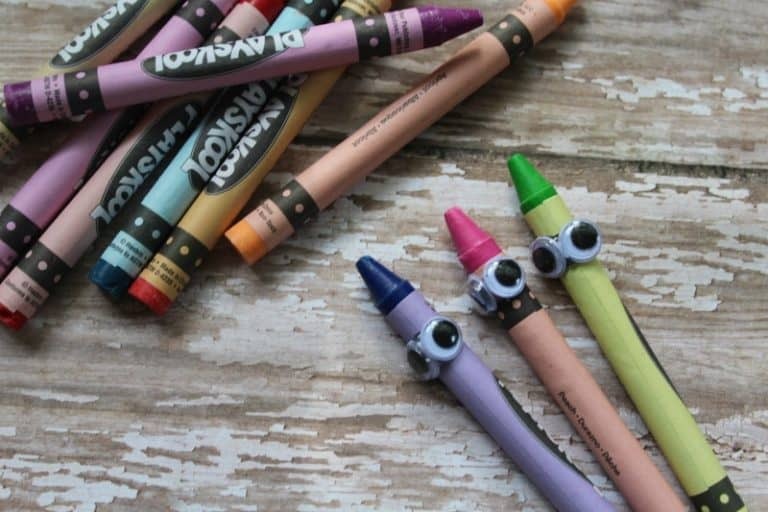 Begin by gluing two googly eyes to each crayon. You want to place them at the top of the crayon on the pointed end. Basic craft glue works fine for this. Just apply the glue and press into place. 2. Create small arms for the crayons. 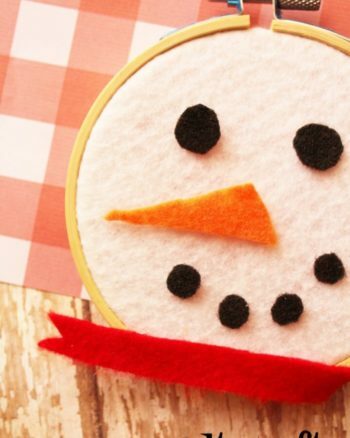 To do this cut 2″ segments of pipe cleaners. 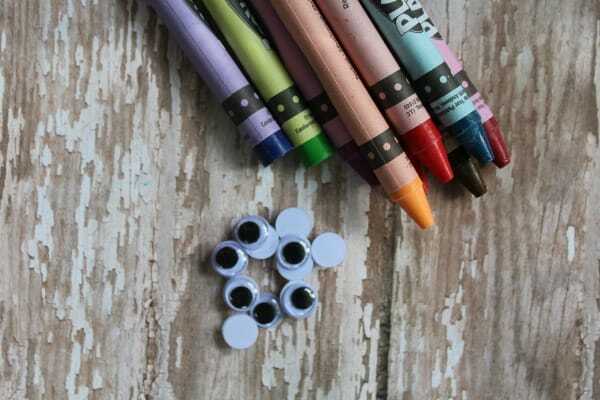 Add some glue to each of the ends and press them to the back of the crayons. For this step, hot glue and a glue gun works best. 3. Bend the pipe cleaners to give them some shape. Bending them at the ends can give them the look of hands. 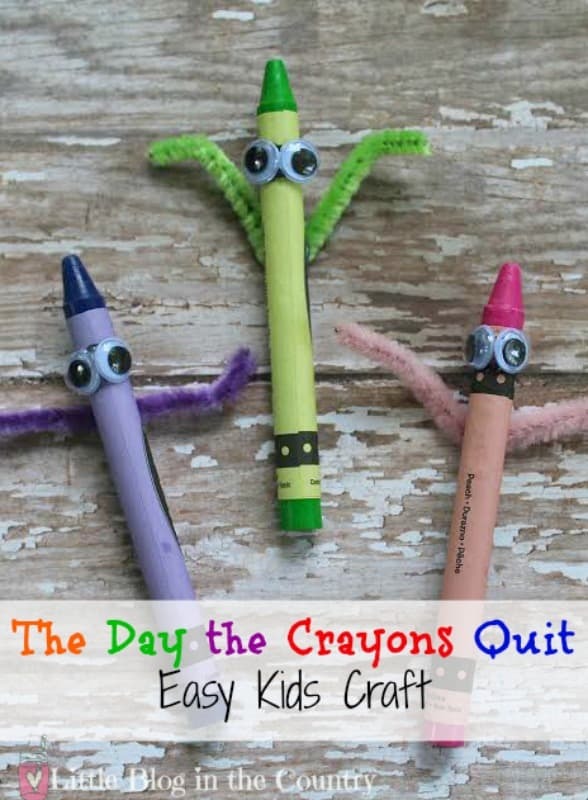 If you love book based activities and enjoyed The Day The Crayons Quit craft you should check out these other posts!